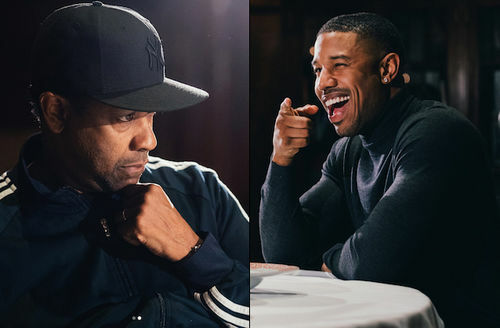 Acting veteran Denzel Washington is staying true to his word of “passing the baton” to Michael B. Jordan as the two Hollywood stars are teaming up for a new film. According to Deadline, Denzel Washington and Michael B. Jordan will possibly work together in Sony Pictures’ “Journal for Jordan,” based on Dana Canedy’s Pulitzer Prize-winning book. Washington is set to direct and co-produce the film that Jordan is expected to star in. The book “Journal for Jordan” is based on the true-life story of Canedy’s romantic relationship with Sgt. Charles Monroe King, who was killed in the Iraq war in 2006. His son Jordan was just 7 months old at the time of his death but he wrote life lessons for him in a journal that his son was to read throughout his life. Reports of Jordan and Washington teaming up comes a year after the two successful actors sat down for an interview with The New York Times where the 64-year-old acting legend said he was “passing the baton” to Jordan and other people of color in the entertainment industry.